HP, the tech giant that it is, can choose not to call its new 6-inch device a smartphone, or even a phablet, but we are pretty sure that the HP Slate 6 Voice Tab is one. And a good one at that too. Here is why. It looks and feels like a smartphone: If you had doubts of what the Slate 6 VoiceTab would look like, you would be disappointed when you opened the box. 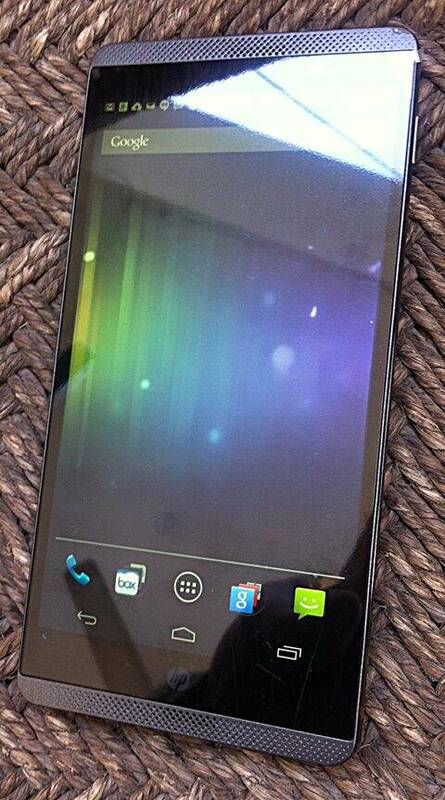 For it looks like any other six-inch smartphone, the Sony Xperia Z or the HTC One Max. Six inches means any adult can easily grip the phone and make a call. Six inches means you can afford not to invest in a tablet to go along with your phone. The Slate 6 has superb build quality, the kind you would expect from a company like HP which has always dabbled with premium devices. But we are not so sure about the bling factor. There is a champagne finish metallic frame that runs around that device along with a shiny texture back. Not for everyone I would say. It does everything that a phone does: Seven inch tablets with voice are primarily tablets that let you make voice calls too. That is meant for people who would use the device primary for tablet-like data-heavy uses. With the Slate 6, you don’t have to make that sacrifice. Use it just as a phone and you would be quite happy. Yes, it is difficult to make calls with one hand. But people won’t stare at you if you keep this device to your ear, unlike those using a tiffin box-sized tablet for the same. The audio quality is really good, and that is a plus for all tablets with voice don’t do all that well on this front. In other words, you can use this as a phone without a Bluetooth device, that is almost a prerequisite with voice tabs. Plus, it has two SIM slots. How many tablets do you know that do that? Its performance rivals top-end smartphones: Any tablet with voice calling will have the performance of a tablet, which often is not at par with that of a smartphone. It won’t take you long to realise that the Slate 6 is different. It is not powered by a Quallcomm or MediaTek processor, but the Marvell PXA1088 1.2Ghz Quad Core is fast and slick. The multi-tasking that Android 4.3 affords you is seamless and easy thanks to the powerful processor. If benchmarks scores are your dope, then let me tell you that the scores are what you would find in the best mid-range phones. That would be above the Samsung Galaxy S2 and below Google Nexus 4, numbers almost impossible to achieve for the present day voice tablets. Use the Full HD screen for gaming or to watch a HD video, you won’t be disappointed with the graphics quality or the overall experience. Plus, it has two front firing speakers that are never seen in tablets. It is also priced like a smartphone: Of late, seven-inch voice tablets have been priced quite affordably. 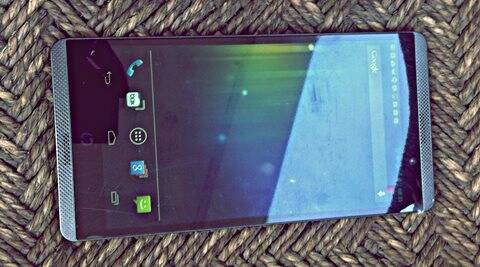 But the Slate 6 is priced more like a middle segment smartphone at a very competitive Rs 22,999. However, it has the camera of tablet: With all those smartphone like features listed above you would expect this device to have at least a 8MP camera. But that is not the case. 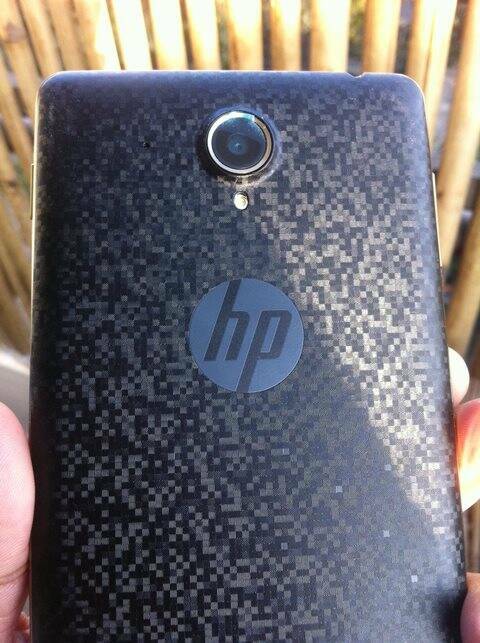 It seems this where HP decided to cut corners, as the rear camera has a measly 5MP sensor. Compare this to the other six-inchers that sport 13MP and so on. The results are decent in daylight and very so-so indoors and in low light. In artificial light it lacks clarity and that is very dissapointng. And yes, it reminds me of tablets, not smartphones. It also has the battery of a tablet, and that is good: This is one of the best features of this device. The 3000 mAh battery can easily last 36 hours with decent use. It will last more if you are using it like a second device. If only more smartphones behaved this way. So should you buy this as a tablet or a smartphone: If you are looking for a tablet that can make calls once in a while then look for cheaper options. But if you want smartphone that is as good as a tablet, then this is a good option that is much cheaper than than the Samsung Galaxy Note 3, the clear leaders in this segment. But the device is good value for money without an element of doubt.